Heidecke Lake State Fish and Wildlife Area is an Illinois state park on 1,300 acres (526 ha) in Grundy County, Illinois, United States. It is an artificial cooling pond originally excavated to enable the operation of the now defunct Collins Generating Station. "Heidecke Lake State Fish and Wildlife Area". Illinois Department of Natural Resources. Retrieved 2018-07-16. USGS. "Heidecke State Fish and Wildlife Area, USGS Coal City (IL) Quad". TopoQuest. Retrieved 2008-07-05. 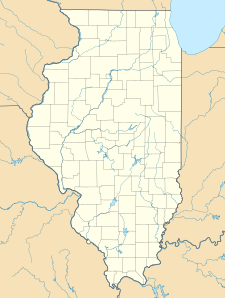 This Grundy County, Illinois location article is a stub. You can help Wikipedia by expanding it.